This detailed map covers the area from Ickenham village centre, at the top of the map, southward to Hillingdon station and Hercies Road. Features include Swakeleys, St Giles church, Milton Farm, Ickenham Hall, Metropolitan Railway with Ickenham and Hillingdon stations, Gospel Oak Covert, Uxbridge Common, etc. A 1933 directory entry for Ickenham is included on the reverse. 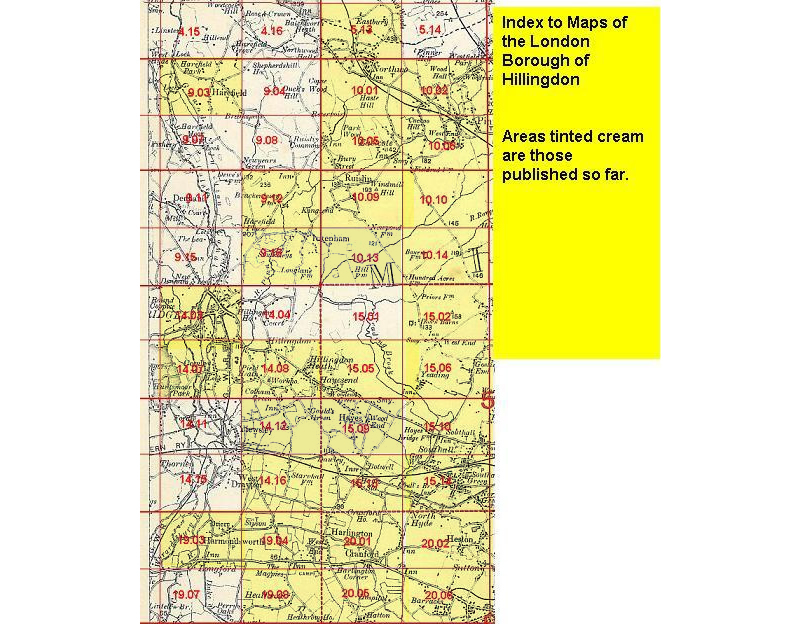 The map links up with Middlesex Sheets 09.12 Ickenham North to the north, 14.04 Hillingdon North to the south, 10.13 Ruislip Gardens to the east..